Patent description located in Object File. 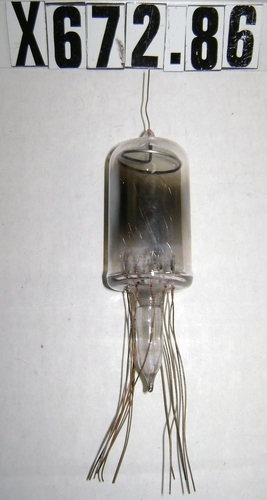 Object is a vacuum tube with no base or cap. There are ten wires coming out of the bottom and there is one wire coming out of th top with no terminations on any of the wires.